What could go wrong for the boys of winter? Sometimes, the thing you dread the most is not having anything to dread. 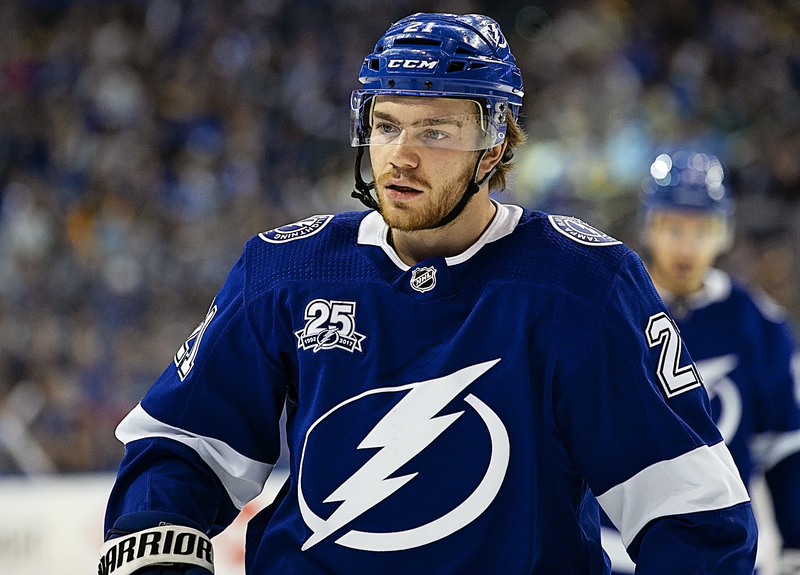 Take the Tampa Bay Lightning, a fairly loaded team that shouldn't have much problem in making the post-season, which is its own worry Then again, no one judges the Bolts by anything but the post-season these days. As standards go, the Lightning is aiming pretty high. And why not? 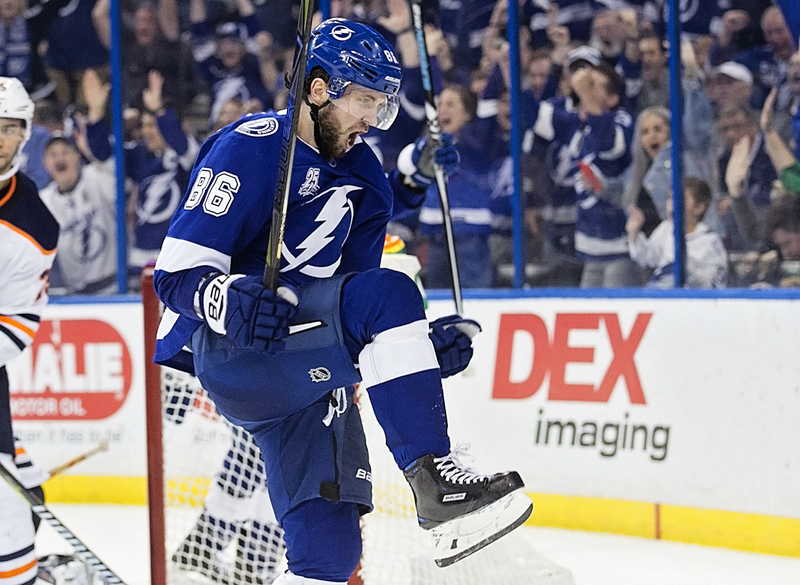 You want scoring, you have Nikita Kucherov. 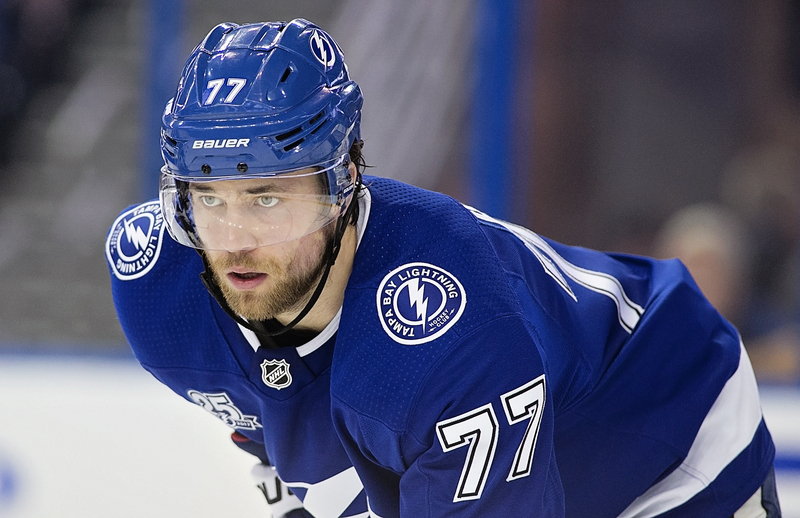 You want defense, you have Victor Hedman. 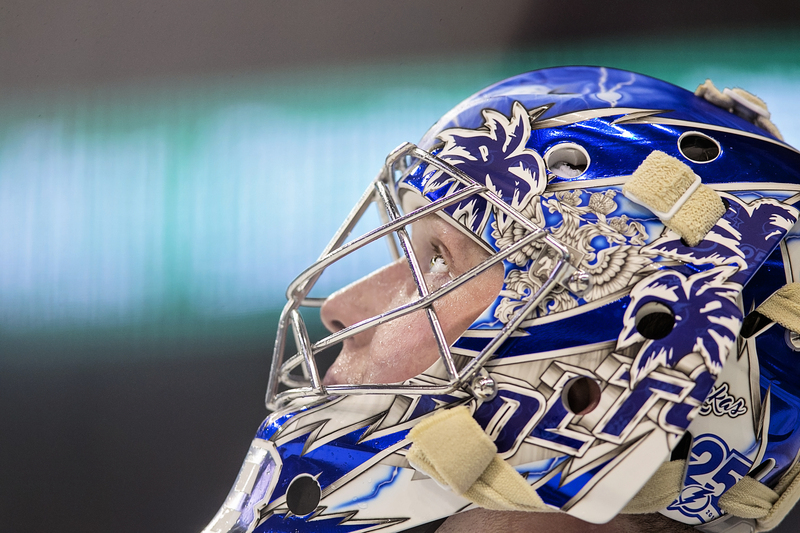 You want a goaltender, you Andrei Vasilevskiy. You want the rest of that likable crew, you have Steven Stamkos and Brayden Point and Ryan McDonagh and Mikail Sergachev and Tyler Johnson and Alex Killorn and J.T. Miller and Yanni Gourde. And as long as we're asking, what's the magic number to clinch the playoffs? Oh, there will be competition. Toronto looks even more loaded than Tampa Bay to some. Boston will be a load. But ESPN had 14 "experts" pick the division, and nine picked the Lightning. So what could go wrong? Keep in mind this is a sport where athletes compete on a skate blade; something can always go wrong. -- Could the team start to suffer Steve Yzerman withdrawal? Probably not yet. He'll still be in the building. 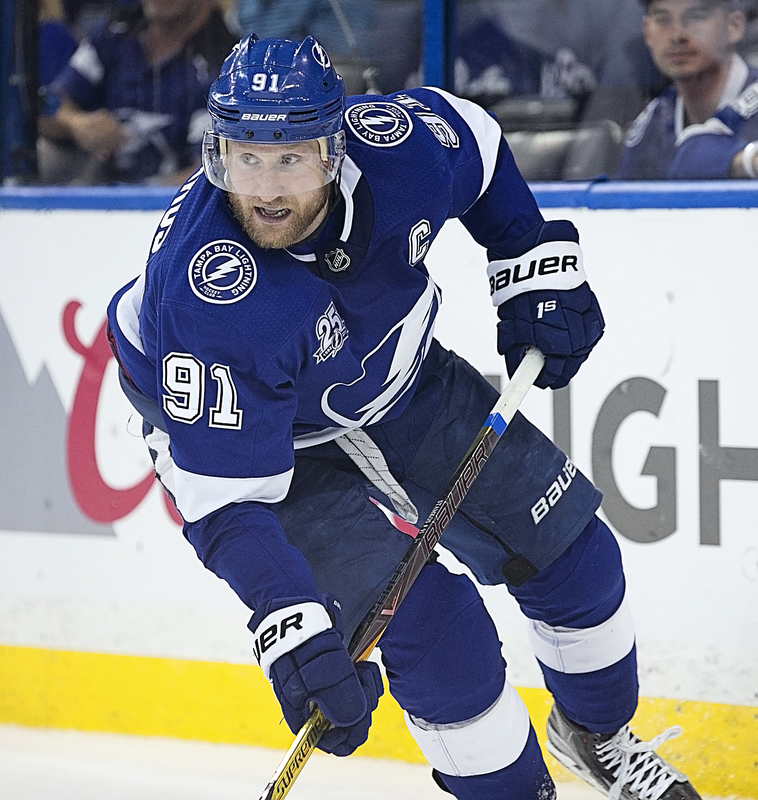 -- Could Stamkos have another subpar year? After all of his injuries, are we to settle for a 27-goal scorer? Is that who he is now? Or could Stammer rebound with, say, 35 goals? That would help the Bolts stay in the passing lane. -- And don't forget. The Lightning was talented two years ago, too, and they finished fifth and out of the playoffs. -- Could there be injuries? Sure. A scoring malaise? Sure. Defenders getting lost on breakaways? Sure. Could other teams be better? Of course. Could there be soft ice here or a bad bounce there or a rotten call or an inexplicable slump? Certainly. Could one or two players simply have off-seasons? It happens. Still, this team looks loaded for bear which, of course, is another problem. Will the Bolts take a soft approach to the season, as they did two seasons ago? Will the team's lack of size hurt them before the playoffs? What if Vasilevskiy proves human this year. Oh, it's too soon to worry. After finishing in the Final Four three seasons of the last four, this team should be hungry to bring home a cup. It can skate, it can pass, and if the mood is right, it can play defense. It has goaltending. It has depth. It has standards. Also, it is well-coached. Cooper is in his sixth season behind the bench, and his voice still has timber. There is a thing in hockey where players can get weary of the same message. As of last season, that hasn't happened yet. Still, you worry, because that's what fans do. Last year, the Bucs started off like gangbusters, and there wasn't much to do but count up the points the team gathered for the standings. Will this be the same? Maybe, maybe not. Either way, it's a long journey until the playoffs. Players will tell you that. That's what they try to squeeze as much as they can from the post-season, because starting over his hard. For the Bolts, the journey resumes on Saturday night. Next post: The Predictions: Could the Bucs lose to a bye week?